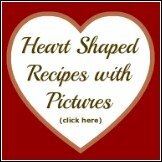 These Tips and "How To" Helps are handy kitchen baking and cooking tips your mother and grandmother probably used too! You probably faintly remember your kitchen mentor explain the "how and why" of some baking or cooking recipe, (and the not-so-basics), but either you weren't listening, or you can't remember the details ... hopefully you will find answers and tips here to help you! 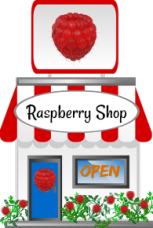 Many of these tips are raspberry-related, and many are general in nature. With informative titles such as "How to Present your Baking in a Beautiful Way", "Smoothie Making Tips", "How to Make Heart-Shaped Food", "How to Freeze Raspberries", "How to Remove Raspberry Stains", or opinion pages such as "Why Punch Dispensers are more efficient than Punch Bowls", I hope these pages inspire you in your kitchen and in all your culinary endeavours! 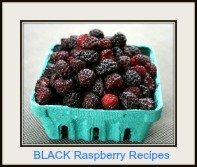 BLACK RASPBERRY Recipes - Can I Substitute Black for Red Raspberries? How to MAKE TEA and TEA PARTY IDEAS! 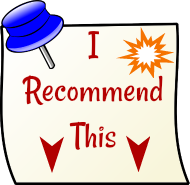 Please check back from time-to-time, more tips and "how to" information is always being added!